If your rowing/paddling club is having a demo or display day, please contact us in advance. Because schedule permitting, we'd love to join in the fun by bringing some Slipstream watercraft canoes. But we'll go one step further. 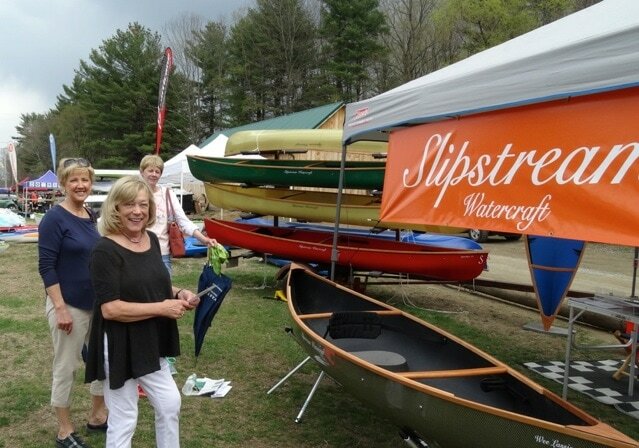 For every Slipstream Watercraft canoe we sell at your event, we will contribute $50 to your non-profit organization! How can you beat that? It's a win-win. This offer is limited to non-profit organizations only. Once the boat has been delivered and paid for by the purchaser, the check will be mailed.